This entry was posted in bath and body, bath products, cold process soap, Fragrance Oils, Natures Garden, Natures Garden Fragrance Oils, Soap making supplies and tagged Activated Charcoal Scrub, Almond Fragrance Oil, bath and body products, bath and body recipes, bath bombs, body cream recipe, bubble bars, candle making supplies, cold process soap, couture hotness fragrance oil, cp soap, Crafts, dance of the sugar plum fairy fragrance oil, diy, diy body cream, diy gifts, diy lip balm, diy lotion, fragrance oil, fragrance oils, fragrance oils for soap, free recipe, hamoemade recipes, handmade bath bombs, handmade body cream, handmade bubble bars, homemade, homemade bath bombs, homemade body cream, homemade bubble bars, homemade gifts, homemade lotion recipes, homemade soap, hot fudge brownies fragrance oil, Lavender Martini Fragrance Oil, lip balm recipes, lotion recipes, Macadamia Nut Oil, natures garden, natures garden candle supplies, peach magnolia raspberry fragrance oil, peppered poppy fragrance oil, soap making, soap making supplies, soapmaking, soapmaking supplies, soaps, wholesale fragrance oils on December 22, 2017 by Deborah Ward. Macadamia nuts are not just for eating! Macadamias are grown in Australia, New Zealand and most notably in Hawaii. This oil is excellent for cooking, especially for frying as it has a low smoking point and is also good for a base in salad dressings. However, it is also a wonderful addition to cosmetics and bath and body products. The oil provides nourishment and emollient to dry, aging skin. It absorbs quickly, leaving you feeling soft and not greasy. Macadamia Nut Oil is high in Omega-6 and Omega-3 fatty acids. Those are good fatty acids that help the body out! Macadamia Nut Oil also has high levels of antioxidants and because of this, it is not prone to rancidity. Below we have 10 ways to use Macadamia Nut Oil in some of our favorite recipes here at Nature’s Garden. Most of us enjoy giving gifts to our friends and loved ones. Especially homemade gifts. Give a few of these recipes a try and create some amazing smelling bath and body products! So below we have 11 ways to use macadamia nut oil in your cosmetic recipes. We hope you enjoy making them! Most kids don’t like taking baths. Add in a Sugar Plum Bath bomb and it will turn a boring, old bath into a colorful, fizzing bunch of fun! Any little girl would love to have one of these dropped into their bathtub and watch the water turn colors! Like most bath bombs, it’s fun and easy to make! 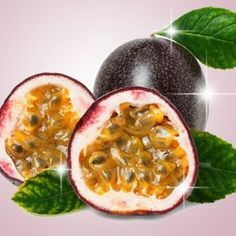 We made Macadamia Nut Oil our star of this bomb for some conditioning lather, a little diamond dust for some girly sparkle and our Dance of the Sugar Plum Fairy fragrance oil, which inspired us to create this cool bath bomb, has woodsy scent of plums, strawberries, cherries and cinnamon. Your little girl’s bath time will definitely be “the bomb”. Almond lotion has been popular for quite a long time. It has a wonderful light, cherry fragrance and it absorbs nicely. What makes it even better is that you can make it in your own home and get the same benefits as the real deal! Our Almond Body Cream uses Sweet Almond Oil and Macadamia Nut Oil. They both are amazing at absorbing quickly into the skin leaving you feeling soft and non-greasy. The Almond Fragrance Oil is very reminiscent of the real thing! We are sure you will love this lotion and hope you give it try. Next up is a popular recipe that uses just a few simple, natural ingredients to create a fun, sweet smelling bubble bar. Our Blackberry Bling Bling Bubble Bar uses baking soda, cream of tartar and cornstarch. You can’t get more simple than that! We’ve added Macadamia Nut Oil to give your skin some nourishment and hydration along with that conditioning lather that Macadamia Nut Oil is known for. Our Blackberry Bling Bling Fragrance Oil adds a scent of juicy, fruity blackberries to the air. So plop one of these babies into your bath and enjoy the blackberry bubbles that will fill your tub. Charcoal scrubs are so popular these days. 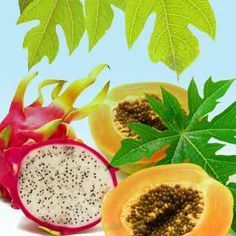 They are used in all kinds of soaps, face scrubs, face masks and face peels. 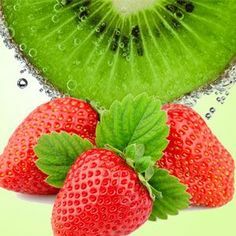 It is an amazing detoxify-er, which means it’s wonderful for those with oily skin and acne sufferers. Activated charcoal is actually a product of burnt hardwoods. Who knew you could rub something like that on your face and have it be beneficial too! It may seem harsh to rub charcoal on your face but actually, it’s a gentle exfoliation the will brighten up your skin. This Activated Charcoal Scrub is anything but harsh. With Shea Butter, Mango Butter and Macadamia Nut Oil as some of the added ingredients, you will have soft, smooth, refreshed-feeling skin when you are done. It’s also very economical to make and since they are such the rage, you can make some for your friends to. Everybody who likes to buy or create homemade soap can always appreciate a unique recipe. That’s why this Hot Fudge Brownies Cold Process Soap is a good one to have on hand for that customer or family member who likes the “unique”. With our fragrance oil of Hot Fudge Brownies that truly smells like the real thing and some Cocoa Powder thrown in for a boost of even more chocolate scent, your bathroom will end up smelling like a bakery! This isn’t your ordinary brownie recipe though. It’s chock full of good-for-your-body ingredients like Cocoa Butter, Avocado Oil and Macadamia Nut Oil. Your skin will be soft, hydrated and nourished when you finish up bath time! You will probably be craving a couple of brownies by the time you’re done also! Most of us remember the artificial poppy flower being given to us on Veterans’s Day to honor those who have died during wartime. Or we also remember the poppy fields from The Wizard of Oz that caused Dorothy and her friends to fall asleep. However you remember the Poppy, we at Nature’s Garden have created a soap to commemorate that time. Our Poppy Seed Cold Process Soap uses our Peppered Poppies fragrance oil which has a scent of cherries, oranges, cinnamon and vanilla. This recipe is vibrant red using our Fun Soap Colorant Tomato Red and with some poppy seeds to adds some exfoliation. We are sure you are going to want to try this on your next batch of soap making. This soap is also full of skin nourishing ingredients such as Cocoa Butter, Coconut Oil and of course Macadamia Nut Oil so your skin will be soft as a petal off of the Poppy flower and guaranteed to not cause you to fall asleep! 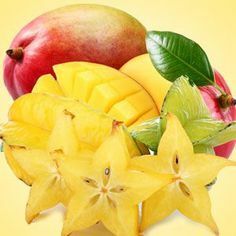 I love mangos! They are packed with some amazing nutrition, and their scent reminds me of summer and warm sandy beaches! Lip Balms are so quick and easy to make and I don’t know about you, but I have a tendency to lose mine left and right. Plus, everybody that lives in a cold climate is always in need of a few lip balms to have on hand. You honestly cannot have too many. This Mango Madness Lip Balm has lip-nourishing ingredients of beeswax, Mango Butter, Vitamin E and of course Macadamia Nut Oil. Even the ingredients sound tropical! Add little of the Kiss me Coral lip tint and use our Mango flavoring Oil for that burst of Mango that gives this lip balm its name. We hope you give this recipe a try because we are sure you will love having it as part of your lip balm recipe collection. Lotion is such an important part of skin care. It starts with your soap or body wash, but in the end, it’s the lotion that seals the deal! Our Glamour Girl Lotion will do just that for you. 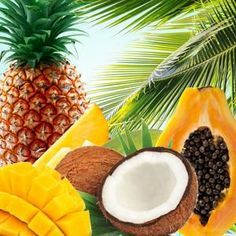 It has cocoa butter, Jojoba Oil and Macadamia Nut Oil in it and those are just a few of the nourishing ingredients your skin craves to look healthy. You will feel soft, smooth and moisturized. Our fragrance oil Couture Hotness, which is our rendition of Hot Couture, is what makes this lotion the glamour part of the recipe! You will smell like you just stepped out of a high-end spa after spending the day relaxing, when in reality you probably just stepped out of your shower at 5 A.M. and are heading to work! No matter, you will love this lotion! We see this lotion pop up a lot in our blogs. There’s a good reason for that. It is an AWESOME lotion to have in your bath and body recipe file. It’s loaded with skin benefits from the herbal infusion of Hibiscus Flower Powder and Rosehips Powder. Both powders are high in antioxidants and are wonderful for dry, aging skin. With the added benefits of Meadowfoam Seed Oil and Macadamia Nut Oil, your skin will be happy that you decided to Shea Lotion with Herbal Infusion a try. Plus, the Peach Magnolia Raspberry fragrance oil will give your skin a light, floral scent with a touch of raspberry! We are sure you will love having this lotion on your skin and in your recipe box! Lavender is a wonderful little herb. It’s known for aiding in relaxation, depression and anxiety. No wonder we see so much lavender used in bath and body products! Our Lavender Cold Process Soap recipe is no exception. With real dried lavender buds added to the purple, swirly batter that not only boosts the lavender smell but adds to the presentation it, we are sure this will be a wonderful recipe to add to your collection. Our Lavender Martini fragrance Oil adds a zesty lemon-orange scent, followed by the soft scent of lavender and bergamot. This soap is full of skin beneficial ingredients such as Mango Butter, Coconut Oil and Macadamia Nut Oil. Your skin will feel soft, conditioned and happy from the care you just gave it. Most of us think it is just the women who are into the scrubs and soaps. We forget that most men like god skin care and to smell good. So last, but never least, we have a Foaming Body Scrub for Men. It is actually has activated charcoal that is a wonderful exfoliate and detoxify-er for the skin. We’ve also used Macadamia Nut Oil for nourishment and a conditioning lather. Our Black Tuxedo fragrance oil that we have chosen for this recipe has a crisp, clean scent of lemons, bergamot and a hint of cedar. Create this scrub for a wonderful addition to your men’s line of bath and body products or just for the guy in your life! So there you have it! 11 ways to Use Macadamia Nut Oil. We hope you enjoy exploring the uses of this oil in our bath and body product recipes. As mentioned above, it is a very good oil to cook with and while Nature’s Garden sells Macadamia Nut oil strictly for cosmetic uses only, below are a couple of recipes using this wonderful oil and the actual macadamia nut in food. First, a recipe from the Food Network. It is a Sauteed Scampi in Macadamia Nut Oil you may like to try that uses this oil! While I haven’t tried it yet, it looks delicious. It might just be on my dinner menu for next week. Create and enjoy! Also, let us know how it tastes! If chicken is more your thing, you must try this Macadamia Nut Chicken. I found this recipe on Genius Kitchen. This particular recipe uses actual macadamia nuts. This one I have tried! It is delicious and was a hit with my family! You will not be disappointed! Have you tried creating one of these recipes or anything else from our web page? 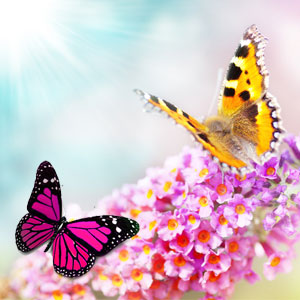 We have our customer show and tell page on our website at Natures Garden Candles that let’s you post a picture of your creation and also tells everyone a little about yourself! You can also post your pictures on Natures Garden’s Facebook page or Instagram and Twitter @ngscents! So go ahead! Brag a little, we love seeing what you do and who our customers are! 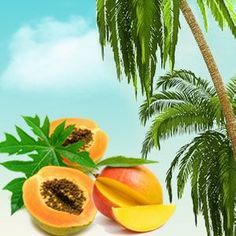 This entry was posted in candle making supplies, Fragrance Oils, Natures Garden, Natures Garden Fragrance Oils, Soap making supplies, wholesale fragrance oils and tagged best peach candle, body safe scent, buy mp soap base, diy air fresheners, diy bath and body products, diy bath bombs, diy candle making, diy cosmetics, diy lotions, diy room scenting, diy soap making, floral and fruit fragrance, floral scent, floral scented votives, floral scents perfume, floral soaps, florals without acceleration, flower scented candles, flower scents, fragrance oil, fragrance oil spotlight, fragrance oils for soap, fragrances for candles, fruit and floral candles, fruit and floral scent, fruit and floral soaps, fruit scent, fruit scented votives, fruity scent, great cold process soap scent, herbal lotion recipe, how to make melt and pour soap base, how to make scented candles, lotion recipe, melt and pour soap base, melt and pour soap base bulk, melt and pour soap base discount, melt and pour soap base natural, melt and pour soap base recipe, melt and pour soap base wholesale, natural colorant, natural colorants for bath bombs, natural colorants for cosmetics, natural colorants for homemade soap, natural colorants for soap, natural colorants for soap making, natures garden, orange candle dye, orange liquid candle colorant, orange liquid candle dye, orange liquid soap colorant, orange liquid soap dye, orange soap colorant, orange soap dye, peach magnolia raspberry aroma, peach magnolia raspberry candle fragrances, peach magnolia raspberry candle scents, peach magnolia raspberry cosmetic fragrance oil, peach magnolia raspberry cosmetic oils, peach magnolia raspberry cosmetic scented oil, peach magnolia raspberry cosmetic scents, peach magnolia raspberry fragrance oil, peach magnolia raspberry fragrance oils, peach magnolia raspberry fragrances, peach magnolia raspberry fragrances for soap, peach magnolia raspberry scented oils, peach magnolia raspberry scents, peach scented candles, peach scented lotion, perfect soap scent, pink lotion recipe, strong scent after cure, sweet fragrance, sweet scent, sweet scented candles, wholesale fragrance oils, yellow candle dye, yellow liquid candle colorant, yellow liquid candle dye, yellow liquid soap colorant, yellow liquid soap dye, yellow soap colorant, yellow soap dye on October 17, 2016 by Deborah Ward. What Does Peach Magnolia Raspberry Fragrance Oil Smell Like? How Do Our Customers Use Peach Magnolia Raspberry Fragrance Oil in Room Scenting Recipes? Homemade room scenting products can be made by our customers with this delicious fragrance oil. Potpourri and incense products can both be made with up to 50% of this fruity and floral scent. Also, you can scent your home by adding a maximum of up to 5% this sweet scent to your cleaning products. Also, aroma beads can be created with this fragrance and will retain a nice, strong scent. Further, customers that enjoy crafting candles and wax melts. These types of products can include up to 10% of this scent. 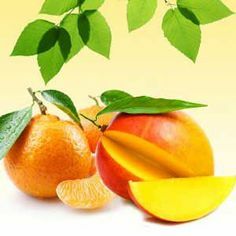 If you are trying to find a good color match for this fragrance oil, then we would like to suggest for you to use either two drops of orange liquid candle dye along with two drops of yellow liquid candle dye per every four pounds of wax that is used or a small amount of shredded orange and yellow color blocks into your melted wax. Just as long as you aren’t crayons as a substitute for coloring your candle products, as they have been known to clog wicks. 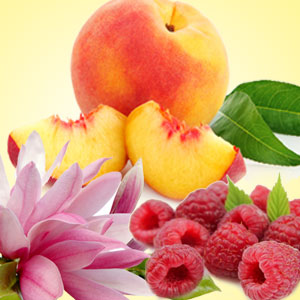 How Do Our Customers Use Peach Magnolia Raspberry Fragrance Oil in Bath and Body Recipes? 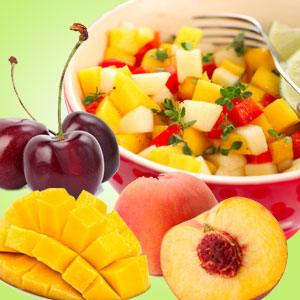 Our customers can include this scrumptious, fruity fragrance oil in their homemade bath and body products. Bath gels, bath oils, lotions, scrubs, and perfumes, are only some of the great bath and body products that can include up to 5% of this fragrance oil. If you want to add soap dye to your bath and body products, then we would suggest that you use orange and yellow liquid soap dyes for this fragrance oil. Just know that you should never use candle dyes in any of your body products. They will stain your skin. Further, cold process soaps are one kind of soap that can be made successfully with this aroma. Our Cold Process Soap Testing Results have shown that this fragrance oil is absolutely perfect for making soap. A batch of soap that uses this scent will have no acceleration, no ricing, and no separation. Also, the soaps will not have any discoloration and a strong scent will be retained. Additionally, both hot process soap recipes and melt and pour soap recipes can successfully incorporate this scent. If you love our Peach Magnolia Raspberry Fragrance Oil, then we’re pretty sure you’re going to love our Shea Lotion with Herbal Infusion Recipe, too! This scrumptious and super cute lotion is moisturizing and even naturally colored! The pink hue in this lotion is all due to the natural red pigment in the hibiscus flowers whole that we infused into the recipe. 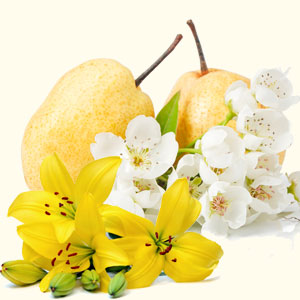 This entry was posted in candle making supplies, Fragrance Oils, Natures Garden, Soap making supplies, Uncategorized, wholesale fragrance oils and tagged asian pear and lily fragrance oil, blue hawaiian fragrance oil, breezes and sunshine fragrance oil, butterfly flower fragrance oil, candlemaking supplies, daisy fragrance oil, floral fragrances, floral scents, fragrance oils, fragrance oils for summer, fragrances, fragrances for candles, fragrances for soap, fragrances for summer, fragrances ideas for summer, good fragrances for summer, good scents for summer, honeysuckle fragrance oil, mango peach salsa fragrance oil, peach magnolia raspberry fragrance oil, scented oils, scents for candles, scents for soap, scents for summer, soapmaking supplies, summer fragrance oils, summer fragrances, summer scents, sun your buns fragrance oil, tropical fragrances, tropical scents, weekend in maui fragrance oil on June 3, 2015 by Deborah Ward. 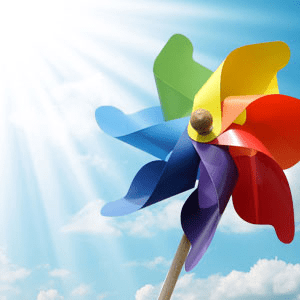 Are you ready for summer fragrance oils? Well, so are we! Here is a great way to start it off. These Natures Garden fragrance oils are perfect for soaps, candles, or any other scented homemade craft project. This fragrance oil by Natures Garden is a beautiful, complex accord containing top notes of Nashi Pear, Apple, and Leafy Greenery; followed by middle notes of Jasmine, Lily of the Valley, and Rose Petals; all sitting on base notes of Pear Nectar, Musk, and Peony Blossoms. This fragrance oil by Natures Garden has fresh ozone notes that lead to this light hearted green floral bouquet. A blend of lily and sage is twisted with shimmering greens as tangy tones of cassis create a bright accent for the floralcy. Sweet amber and crisp orange flower are blended with musk at the base of the scent. 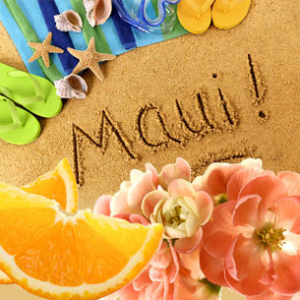 We at Natures Garden have tested numerous Blue Hawaiian fragrance oils before finding the one that we fell in love with! High content of essential oils allows this fragrance to have the crisp, juicy top notes we were looking for! 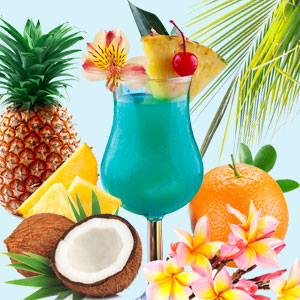 Blue Hawaiian begins with mouth-watering top notes of juicy orange, lemon, and maraschino cherries; followed by tangy pineapple, acai berry, and sea spray; well rounded with base notes of sweet coconut, vanilla rum, and fresh ozonic notes. It has quickly become a favorite fragrance for many of our staff members! Cheers! 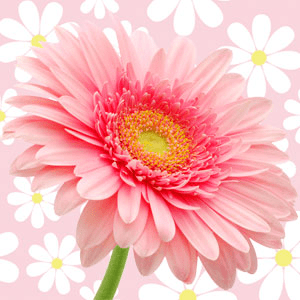 Compare Natures Garden’s Daisy Type Fragrance Oil to the popular Daisy fragrance created by Marc Jacobs. Our rendition begins with top notes of tangy lemon and jasmine; followed by middle notes of muguet lily, rose petals, African violet, and daylily; sitting on base notes of cedarwood, patchouli, and musk. This fragrance oil by Natures Garden has luscious tones of fruit which are blended with warm spicy accents in this tempting creation. Bright citrus notes of tangerine balance with fresh cherry for the tangy top note. A heart of ripe peach mingles with strawberry, as hints of spice add delightful texture to the blend. Floral undertones are enveloped in a clean musk base to complete the fruit sensation. These warm, summer fragrance oils are a perfect way to start off this season. 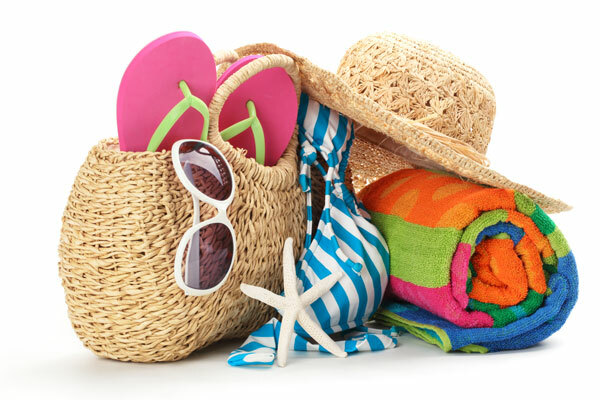 We hope you enjoy these fragrances and have a wonderful summer!